Why would you take shelter, and should you regard this title as gentle advice or a sweeping, allegorical imperative? Well, first of all we’re in what I take to be rural southern Ohio where the storm clouds have a way of building up like the slow movements in Mahler. They seem ominous, gun-metal beautiful at first, but don’t trust that they’re under control—least of all that of God, Ohio, or Mahler. Then sometimes a viscous rain falls, like motor oil, one person will say. If you need an underliner, when the central character, Curtis (“hero” is too begging a word), goes to visit his mother, she’s Kathy Baker in assisted living and schizophrenia. She went down with it at just about the time in life that Curtis has these very bad dreams where most of the things in his life seem ready to bite him, or worse. But I’ve hardly begun on the question of whether or not Curtis should think of enlarging the bleak hurricane shelter in his back yard. Get ready for this: He and his wife have a sweet but deaf daughter—very well, she may be “hearing impaired,” and there is talk of an expensive cochlea implant to help her. But the humidity of metaphor is in the air as thick as thunderstorms, and this child has Jessica Chastain and Michael Shannon as parents. Which leaves her just a touch “ordinariness impaired,” too. This is a difficult film to write about, in some measure because of a very effective, if melodramatic reversal at the end. Leave that aside for fear of spoiling. The greater issue is the presence of Michael Shannon, one of the most impressive actors on our screens at the moment. It is a general convention in writing about movies that one should not stress the looks of a player, or make too great a leap of deduction from their helpless appearance. But that is very tricky. In life, do we really act on the assumption that appearance is “helpless;” and in movies do we believe that casting is merely a professional decision? Or are we not bound up in conventions where meaning and spirit are rendered through appearance as much as acting decisions? Why are we looking if we don’t regard the way people appear as signs of life? 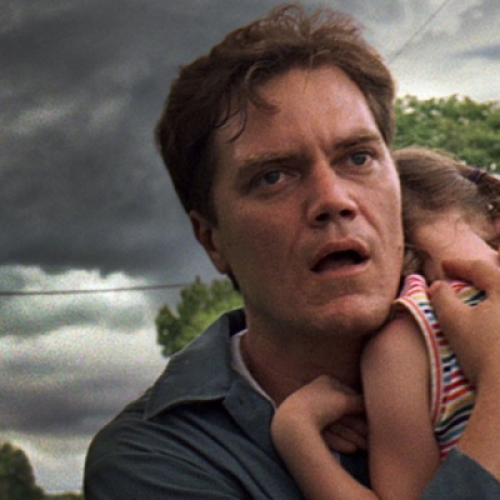 In Take Shelter, Michael Shannon is Curtis LaForche, an employee in a hard hat job at a construction and gravel company, as well as husband and father. He is large, instinctively gentle, but possessed of a mixture of anxiety and violence that has him waking in alarm and agitation from warning dreams in which meteorology has his dog attacking him and his wife, Samantha, standing aghast in the kitchen, soaked to the skin, desperate, stricken, and beginning to realize a bread knife is at hand. Samantha is Jessica Chastain, as fascinating a modern face as Shannon. But whereas Shannon hints at depression, dread, and outrageous reaction, Chastain is saintly, resigned, calming, benign, and so beautiful that you keep marveling how plain and rural she looks, too. This is the actress from The Tree of Life, though she is a lot more interesting here, but unless she gets into saucy, urban comedy soon she is going to be typecast as our new Liv Ullmann. And I’m not complaining any more than I am with Shannon. However, both these players now come with baggage, just as much as William Powell and Myrna Loy did in the long ago. You know Shannon, even if you haven’t yet got a fix on his name: He was the disturbed neighbor in Revolutionary Road; he is FBI agent Nelson Van Alden in “Boardwalk Empire;” good directors have been casting him in small parts for several years; and Jeff Nichols, the writer-director of Take Shelter, used him in his first film, Shotgun Stories (2007), and has him again in his next picture, Mud. I can see how Mr. Shannon’s intensity becomes a habit. But in this movie, there isn’t much doubt or suspense in Curtis wondering whether he might be a paranoid schizophrenic. No, I’m not saying Mr. Shannon is that, but I am saying that if you put him up on screen you set light to a fuse in our imagination that is full of foreboding about disturbance. It’s there in his looming brows, his squeezed eyes, and his pent-up feelings—and I’m not sure if he could do much differently, just as I don’t see Jessica Chastain playing Cruella de Vil. So it’s crucial to Take Shelter that his dreams (very unsettling on screen) tip Curtis over an edge that was waiting in his genes—why introduce the mother as a character unless that’s the intention? But that back-loading detracts from the real pressures on Curtis: that he clings to a job in a desperate economy with a daughter who needs health insurance. So when Curtis takes the decisions to destroy his own economy—I’ll say no more than that he gets a risky loan to make a better, deeper shelter, and thereby loses his job—this is a film in which the other metaphor is the life and hard times of our America, especially rural Ohio. In my estimate, this unique and frequently arresting film suffers from the monotony of the lead players’ affect, and from the film’s urge to have its gloomy cake and eat it. Thus the matters of mental unease and economic insecurity—and, in a nation burdened with the dead rant about its own greatness, the two are often connected—are elided by a coup that belongs more to horror film. Mr. Nichols, who has talent to spare, surely believes that we and our culture are in great need of care. But it is a trope of paranoia to say that all the worries feed on each other. When this film is striking, which is often, it shows all the reasons why small Ohio communities might be cracking apart and wondering if some of their members are going crazy. That is not just a deserving subject, it may be the subject of our times. Michael Shannon gives it agonized life, and yet I wonder whether an actor closer to ordinariness might have been more moving and even more interesting (think of Jimmy Stewart or Tom Hanks). 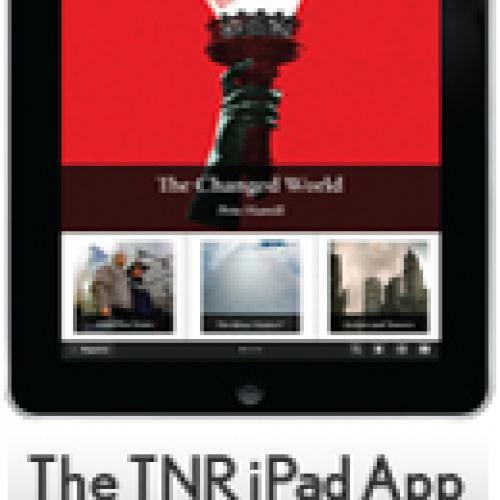 To begin to decide about that, you must see a movie on which not too many viewers will have encouraging word of mouth. Take Shelter should not be missed, and even if you do miss it, its anxieties are not going away.